Besides figures, helmets, and snow, I love to paint clouds. The structure of clouds is perfect for using all sorts of brushwork to capture it. There’s a marvelous freedom to the abstract shapes and forms that will still read as clouds if given the right context by the painter. 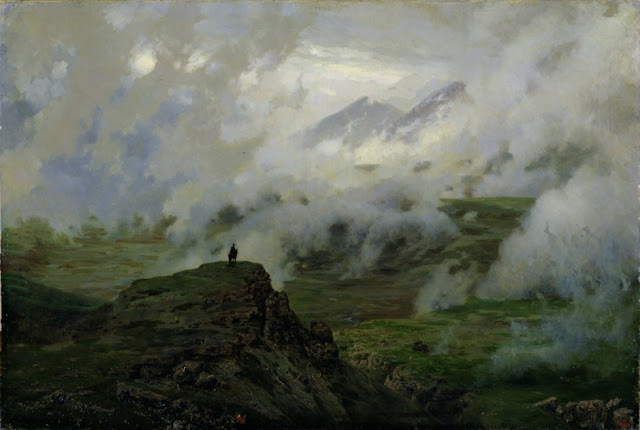 Here are just a few of the incredible cloud paintings I look at for inspiration. 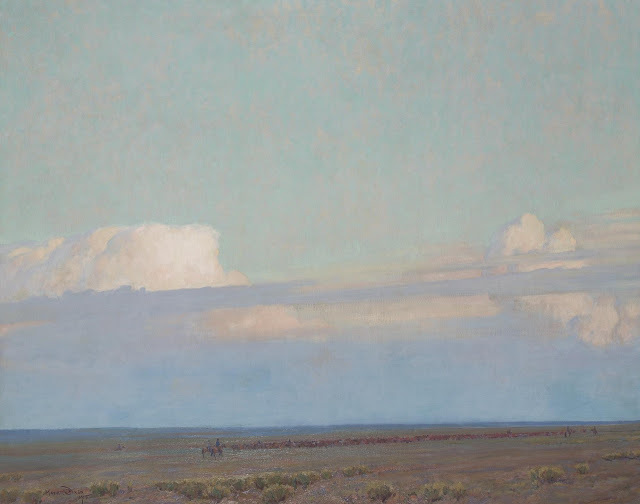 The value range across the sky of this Maynard Dixon painting is very short, and yet the depth achieved is remarkable. The straight line of blue grey cloud that cuts in front of the bank behind it fascinates me for its perfect value and flatness, and the way it blends into the shapes around it. 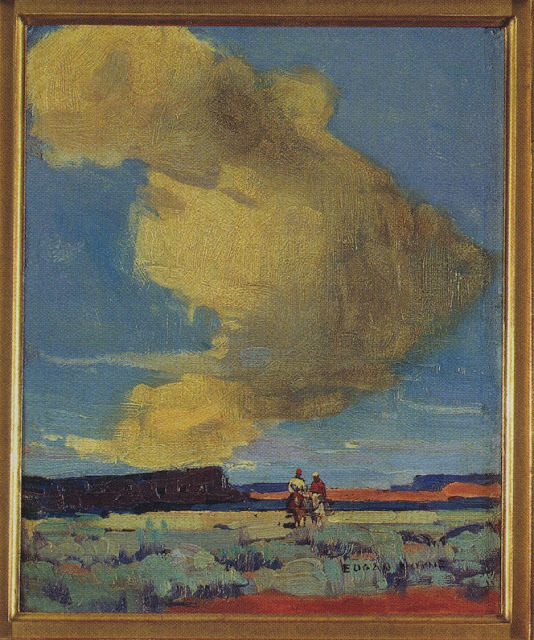 This small painting by Beatty is dramatic, without being heavily detailed, using very light values in the sky. That touch of sunlight on the beach to the right, though, is the holding stroke that lets us know how bright the sunlight is that’s bleeding onto that warm forest color. 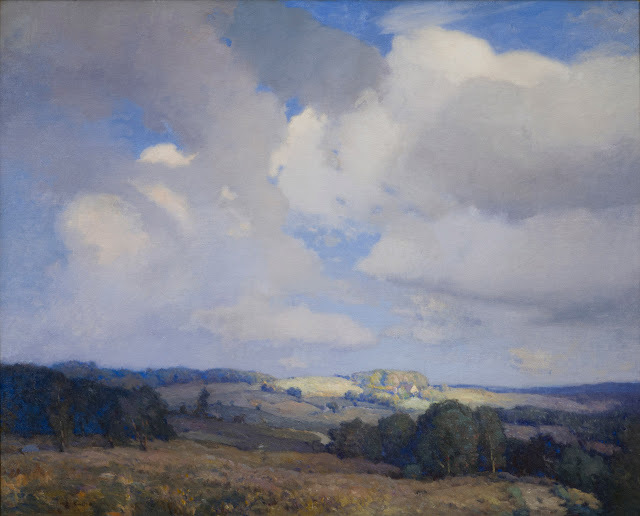 William Kuala’s landscape with clouds is remarkable for how accurately he captured the wide range of values in the sky. The spot that is hard to control, but masterful, is the section of close-valued clouds just above the bright hill in the center. So subtle, holding those soft values together. That’s a tough mix of paint to get right. 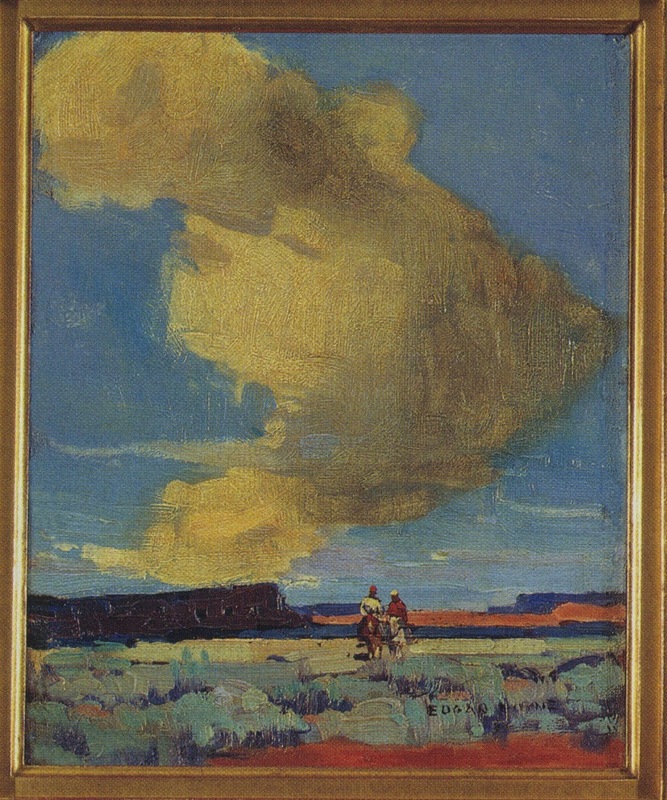 This small piece by Edgar Payne is killer because the shape of the cloud depicts such depth so simply. That’s obvious, but the touches of dark in the two riders isn’t. Not only do they give us scale, but focus. Love the shadows under the hats and horse. The painting at the top, a landscape by Nikolai Yaroshenko, is divine. Such mood and beauty, I wonder how he worked on it and how often he had to run across his studio to study it. 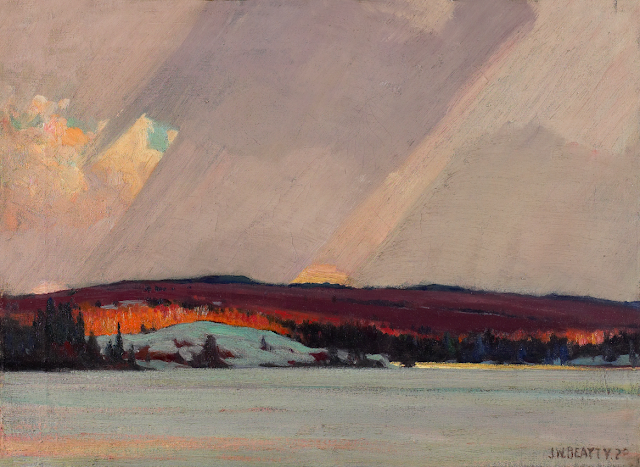 That passage of light grey clouds in front of the brighter clouds in upper left, the slight warmth of color and the light penetrating the webbing of cloud strands, holds the piece together.